I have spent over twenty years teaching students in high school and continuing education classes about music history. Most students enter my classes knowing little about music, and I have gained much experience helping those who are new to classical music — the tyros, I call them — learn to understand and enjoy what they are hearing. To help students in my classes I have come up with five suggestions for learning to enjoy classical music. 1. Listen to a piece of music several times. If I placed only one suggestion on my list, this would be it. The more you listen to a great piece of music, the more you will understand it, and the more you understand it, the more you will enjoy it. It’s almost that simple. Unlike most movies or books, a piece of classical music gets better if you have experienced it numerous times. As much as you might enjoy watching a film like The Shawshank Redemption, you probably don’t need to repeat the experience dozens of times. Even the greatest films have their limits. But that is generally not true of great music. If you only listen to Beethoven's Fifth Symphony once, you might not be able to grasp the narrative of each movement and how the movements relate to each other. If you listen to the symphony several times, however, you should begin to understand the narrative, and it should eventually begin affecting you intellectually and emotionally. Think about it. A rock group's biggest ovation at a concert most likely comes from a song the audience knows well, not from a song the audience has never heard. The same is true with classical music. You are most likely to enjoy the pieces you know best. With good music, familiarity does not breed contempt, it breeds adulation. The desire to hear a great piece of music several times is not limited to classical music. It is also true of so-called popular music. I assume most Beatles fans enjoy the song “Let It Be.” Even if those who like the song have heard it a hundred times, they could probably listen to it again. A good song never grows old. The same is true of classical music, although classical music differs from pop music in a significant way — most pop songs are easier to understand than classical music. Whether a pop song is about unrequited love or some other version of “can’t get no satisfaction,” the music and message are generally understandable after only a few hearings, maybe even the first hearing. Understanding classical music, however, usually takes a little more work. For one thing, a piece of classical music is generally longer, containing much more information and musical content. But if you give classical music the time it deserves and listen to a piece of music several times, the rewards will be tremendously satisfying. Music composed by Bach, Mozart, and Beethoven has survived over two hundred years for a reason — it is great music. The music is too good not to enjoy, and repeated hearings will only enhance your enjoyment. 2. Put some time and effort into learning the terminology of music. Again, enjoying classical music is different from enjoying a good movie. In most cases, you can understand a Hollywood film while possessing little or no knowledge of cinematic technique. Most films require no extra homework to figure them out. A piece of classical music, on the other hand, requires a little work. Without knowing a few basic musical terms and the general outline of music history, a piece of classical music might not make sense, sounding like a series of random tones, some more pleasant than others. Classical music requires you to know the difference between a concerto, sonata, symphony, and symphonic poem. You need to know the characteristics of music from the Baroque, Classical, and Romantic eras. And it takes a little effort to learn all this. Before you can begin to understand Mozart’s Symphony No. 40 in G minor, you should probably know the answer to a few questions. What is a symphony? How many movements are in a symphony? What are the expectations for each movement? What does it mean that the symphony is in a minor key? What did audiences expect from a symphony in Mozart’s time? Is it a "programmatic" symphony? If you don’t know the answers to those questions, you can still enjoy Mozart’s symphony, or at least parts of it. However, you will likely enjoy it much more if you listen with a little knowledge about what is happening in the music, as well as the symphony’s historical context. If you know nothing about music and the task of learning so much history seems daunting, hang in there — your knowledge and enjoyment will grow exponentially. The more you learn, the more you will discover that new pieces of music are easier to understand. The more you learn about Mozart’s Symphony No. 40 in G minor, for example, the easier it will be to understand his Symphony No. 41 in C major, as well as Haydn's symphonies. You will then have a frame of reference for understanding Beethoven and the innovations he brought to writing symphonies. You will also be on your way to a better understanding of the composers who followed Beethoven. It’s all related. 3. Be able to place a piece of music within its historical context. All works of art are a product of the time and place of their creation. 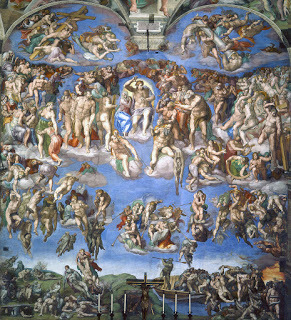 When you look at Michelangelo’s paintings in the Sistine Chapel you are not only observing the works of a great artist, you are paying a visit to the Italian Renaissance. Reading a book by Charles Dickens can take you back to Victorian England, and John Steinbeck can take you back to the Great Depression. Art and literature are like time machines that can transport you to a different world and help you better understand that world. Music works the same way. Just as songs written by the Beatles can take you back to the 1960s, Bach’s music can teach you something about German culture in the early eighteenth century. Shostakovich’s music can teach you volumes about Stalinist Russia. The more you know about history, the more you can understand the environment in which a piece of music was created, and the more you understand that environment, the more you can enrich your experience of listening to music. 4. Learn about the composer who created the music. Some composers are best described as skilled craftspersons who may not have been concerned about putting their personal lives and philosophies into their music. Other composers, however, used music as a form of personal expression, and some of their compositions cannot be completely understood without an examination of their personal biographies. In either case, you will want to know something about the person who composed the music your are trying to understand. Although a composer like Bach did not generally use music as a form of personal expression, knowing something about his biography can help you understand the context in which his music was created. For the last twenty-seven years of his life, Bach created music for several churches in Leipzig, Germany. Much of Bach’s music was therefore utilitarian, designed for performance in church. To understand Bach we should appreciate the degree to which his music glorifies God, not because he was a religious man (which he was), but because his job required him to create music for church services. Beethoven, on the other hand, was one of the first significant composers to use music as a form of personal expression. The suffering he endured from loneliness and debilitating illness can be heard in some of his music. His Third Symphony can be heard as a testament to his personal heroism. His Fifth Symphony can be heard as an expression of the fate he confronted in losing his hearing. An understanding of Beethoven’s personal life enriches the experience of listening to his music. Whether we are listening to Bach or Beethoven, a little biographical knowledge enhances the enjoyment of their music. 5. Learn to recognize how a piece of music is organized. Just as a high school student writes an essay with an introduction, body, and conclusion or a haiku with three lines of five, seven, and five syllables, composers follow certain “forms” to give structure to their music. Understanding how to hear those forms is probably the most difficult of my five suggestions for learning how to understand and enjoy classical music. Nevertheless, learning to hear musical form is an essential element in taking your enjoyment of classical music to a higher level. Listening to music with no knowledge of musical form is somewhat like attending a sporting event with no knowledge of the rules of the game. Imagine watching a football game and not even knowing what players must do to score points. The game would be a jumbled mess. The game is more fun if you simply knew that players are trying to move the ball ten yards in four downs with the ultimate goal of scoring a touchdown. For those who are new to classical music, knowing how a piece of music is organized is similar to learning the rules of a sporting event. Suddenly, everything will begin to make sense. The music will have a goal — a “story” with a beginning, middle, and end — and deciphering that story can be great fun. I hope my five suggestions will help the Classical Tyros reading this blog become connoisseurs of great music. After all, the journey that people take to understand classical music is a journey that is guaranteed to bring more beauty and pleasure into their lives — a journey worth taking, I'd say. If you're looking for more to help you get started, here's three articles from The Atlantic about how to appreciate classical music. "The Secret to Enjoying Classical Music: It's Just Music"
"How to Listen to Classical Music, and Enjoy It"
"What Stephen Strasburg Has in Common With a Violinist"